Buy Benimadhab Sil Directory Panjika (1424) Online from Bong Haat. 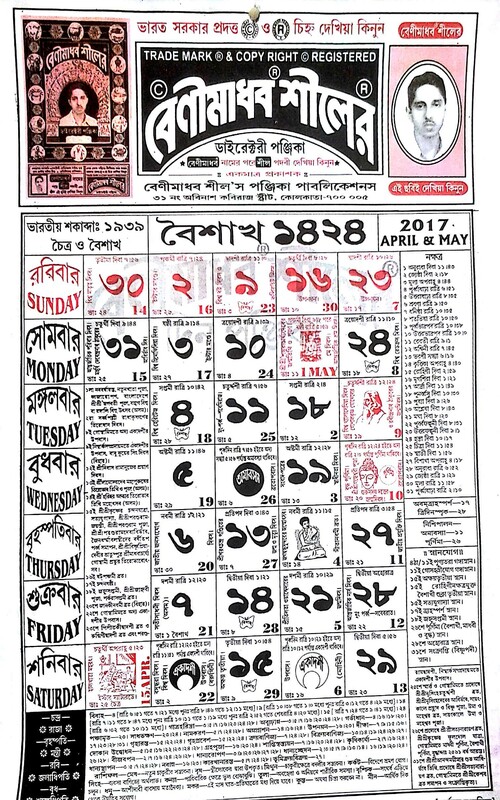 Bengali Calendar1424 (2017-2018) by Benimadhab Sil. 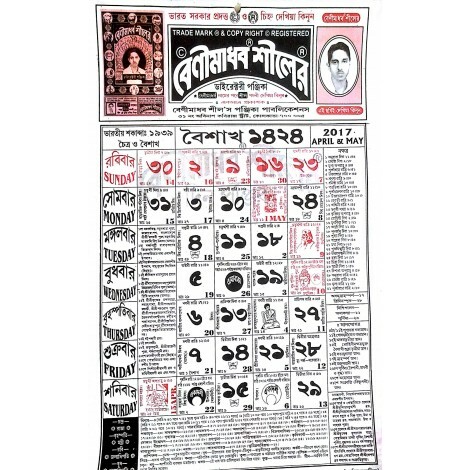 This Directory Panjika is in the form of a calendar and it contains Bengali ceremony date and time, marriage date and time and lots of important information regarding astrology, planet, festivals. Benimadhab Sil Full Panjika (1424) will provide event time & date, marriage date & time, Annaprashan date & time and other auspicious date & time for the month 14th April 2017 to 13th March 2018.